The Detroit rapper reflects on her rise in the latest visual from Big Brazy. 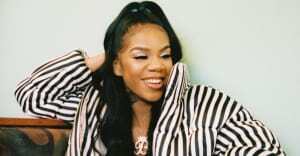 Detroit rapper Molly Brazy gained notoriety for her aggressive freestyles, characterizing much of what her city's regional rap scene has come to represent. But on "Molly's Story," a song from her recent Big Brazy project, the 18-year-old slows it down to reflect on how far she's come. Over producer Go Grizzly's melancholy piano chords, she raps, "No father figure in my life, I still beat the odds / I'm just a voice for a young girl from them trenches, God." "It's a song to inspire others that you can make it out ya city no matter what, and nobody can stop you," Molly Brazy told The FADER over email. "You gotta beat the odds." Watch the video for "Molly's Story" above.